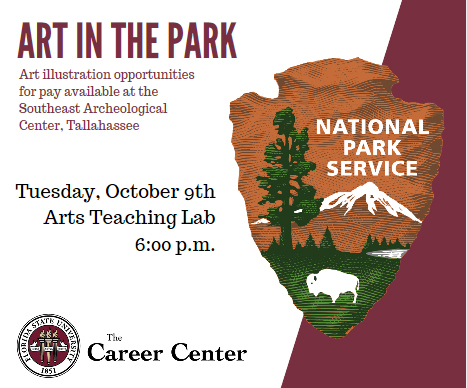 Next Tuesday, Oct 9th, the Southeastern Archaeology Center (SEAC) will be holding an event at the Arts Teaching Lab (that building that looks like a church across from FAB) at 6pm. They will be discussing paid opportunities for artists in connection with the National Park Service. They are looking to hire artists to work with them on graphic design, comic book illustrations, landscape illustrations, and artifact illustrations. Students will be given information on the typical dollar amount normally associated with these contracts and how to apply to work on any of these projects in the future. Contact Kyle Roark for more information. How to manage multiple contracts.